Kelly Jacobs has already paid the ultimate price of loving a warrior. She has the folded flag and the grateful thanks of a nation to prove it. Navy SEAL Joe "Bear" Baker can't ask her to accept that risk again, even though he loves her. But the man responsible for her husband's death is back, closer than either of them realize. Kelly's in danger, and Joe may not get there in time. It's a summer of change for Jennifer O'Malley. The busy physician has a pediatrics practice in Dallas, and meeting Tom Peterson, and falling in love, is adding a rich layer to her life. She's sorting out how to introduce him to her family - she's the youngest of seven - and thinking about marriage. She's falling in love with Jesus too, and knows God is good. But that faith is about to be tested in a way she didn't expect, and the results will soon transform her entire family. Commander Mark Bishop is deliberately low-key: "I'm in the Navy." But commanding the ballistic missile submarine USS Nevada, keeping her crew trained and alert during 90-day submerged patrols, and being prepared to launch weapons on valid presidential orders, carries a burden of command like few other jobs in the military. Mark wants someone to come home to after sea patrols. The woman he has in mind is young, with a lovely smile, and very smart. She's a civilian, yet she understands the U.S. Navy culture. Charlotte Graham is at the center of the most famous kidnapping in Chicago history. The FBI and local cops found her two abductors, killed them, and rescued her, but it took four long years. The fact that she was found just three miles from her home, had been there the entire time, haunts them. She’s since changed her identity, found a profession she loves, and rebuilt her life. She’s never said a word — to the cops, to her doctors, to her family — about those four years. Police Chief Luke Granger is determined to find out who is behind the threats against Amanda and her sisters. Chief Granger and homicide detectives Connor and Marsh will do whatever it takes to stand in harm's way for the sake of the three Griffin women. Chances are that at least one of them will fail, and it's going to take a faith deeper than any of them currently knows to stand and confront the danger still to come. An FBI undercover operation gone bad convinces Rae Gabriella to move near her hometown and work as a private investigator with another former agent. But the small town of Justice, Illinois, is not as safe as she thinks. Attractive and stylish young women, just like Rae, are quietly dropping dead in their hotel rooms, with money and valuables still untouched. When the next victim turns up just a few rooms away from Rae's hotel room, the grieving parents hire her to investigate. 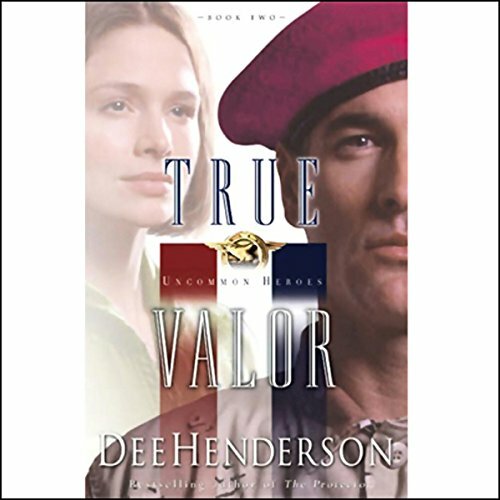 RITA and Christi Award winner and best-selling author Dee Henderson portrays the valor of naval aviator Lieutenant Grace Yates and Air Force Pararescue Jumper Major Bruce Stanton, and their blossoming romance. Although deployments keep them apart, their friendship develops in letters of faith and comfort. When Grace's F/A-18 Hornet crashes among Kurdistan's towering peaks, Bruce's elite rescue team races into harm's way to save her. And Bruce fears she'll never know how much he truly cares. I enjoy reading a book that involves romance some mystery, but doesn't use vulgar language and graphic imaging to get the point across. I think the books in this series remind us that there are those among us who sacrifice much so we can move through our day without worrying when we put our children on the school bus or take them to a mall. Without people like those portrayed in this series of books, that probably wouldn't happen. 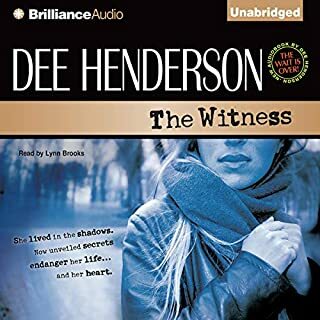 Ms. Henderson creates characters that intrigue us enough to want to get to know them and that encourages us to look forward to reading the next book in the series. Is the book the best book I have ever read...no, but it is interesting and I feel good as I read it and when I finish it. If you could sum up True Valor in three words, what would they be? Grace; You expect the three words above when describing a man in the military not a female. It was a great story outlining how difficult it must be for women in the armed forces. Change is necessary but rarely easy. Grace's character shows women can do the job as well as men but also the balance necessary to have a personal life. He really brings the story to life. Having faith in God in dire situations. You became so involved in all the characters personalities. I would have to say Bruce. Yes, but you wanted to contemplate about what you read. The story has a lot of depth to it. It needs another book to tie the ending up in a better way. This is part of a trilogy of romance novels usually involving the military. It was a nice listen and didn't require a lot of concentration. Not serious literature but very entertaining. I had to restart several times because there's nothing to grab onto. The characters are sweet, but there's just no substance here. Not typical of this author as I've really enjoyed many of her other books. It's a great love story and truly tugs at your heart. I'm sure I'll be listening to it again! in a world full of bad news, it is so nice to escape to a story of love, honor, faithfulness and what that can all mean in a relationship. Enjoyed the details and development of the love story. Kept me hoping for their future. I loved it! Very intense at times but wonderful story! I wish there were a sequel. The chapters on Audible don't line up with the book chapters. For example, Book Chaper 5 starts at 05:26 of Chapter 3. 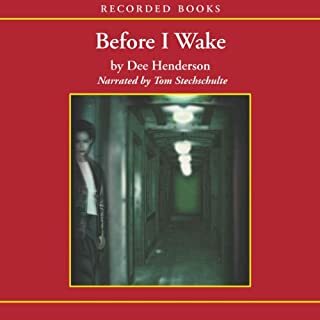 I have yet to find a male narrator who can do decent female voices. They always sound like female impersonators. I would rather have a female narrator that can do male voices.